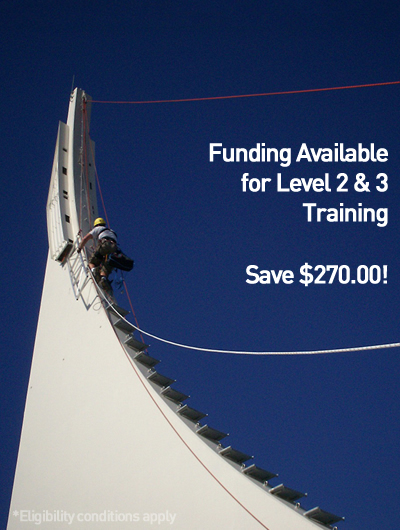 Provides participants with the knowledge and skills to perform work while suspended in a vertical environment. WHERE ARE THE COURSE DATES? ARAA have decided to cease acting as a certifying body effective 1 March 2019. The provision of all ARAA qualifications shall cease from 1 March 2019. Instead, Pinnacle are offering the SPRAT qualification. 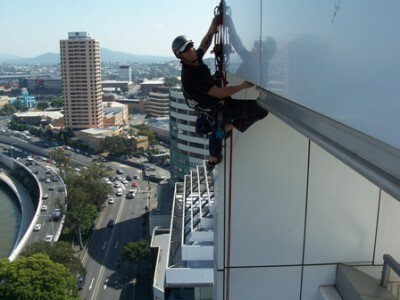 Students who are deemed competent will receive an industry qualification from ARAA (Australian Rope Access Association) at level 1, 2 or 3 mapped against AS4488. Students who choose to undergo simultaneous ARAA and SPRAT certification and are deemed competent also receive an industry qualification from SPRAT (Society Professional Rope Access Technicians). For information about SPRAT qualification, click here. Level 2: $1655 pp. QLD: For the first time, funding is available for eligible members of the construction industry undertaking L2 ARAA. If eligible, pay only $1,380.00 - save $270.00! Check your eligibility and apply now. Level 3: $1695 pp. QLD: For the first time, funding is available for eligible members of the construction industry undertaking L3 ARAA. If eligible, pay only $1,425.00 - save $270.00! Check your eligibility and apply now. Level 2: $2025 pp. QLD: For the first time, funding is available for eligible members of the construction industry undertaking L2 ARAA+SPRAT. If eligible, pay only $1,755.00 - save $270.00! Check your eligibility and apply now. Level 3: $2065 pp. QLD: For the first time, funding is available for eligible members of the construction industry undertaking L3 ARAA+SPRAT. If eligible, pay only $1,795.00 - save $270.00! Check your eligibility and apply now. Work on bridges, power stations, mines, cliffs etc. 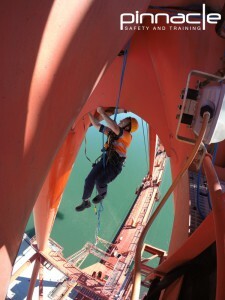 Training is designed to be as realistic as possible and enable you to work effectively as a rope access technician. We supply all equipment necessary for you to undertake training including harnesses, ascenders, descenders etc. This training is realistic and very physical. It is important that all personnel who attend this course are physically fit and have a head for heights. You will be ascending ropes and hanging in harnesses for extended periods in order to conduct rescues. If you do not possess the fitness/strength to ascend ropes under your own strength, you will be unable to demonstrate the competence required for this program. A current (within 24 months) Work Safely at Heights certificate (RIIWHS204D or equivalent). Level 2 and 3 students, please note the additional requirements listed below. 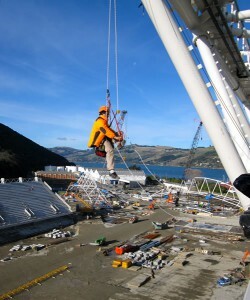 At least 500 logged hours employing twin-rope system at level 1 within last 3 years (supervisor-signed and verified). At least 1,000 logged hours employing twin-rope system within last 3 years (supervisor-signed and verified). You must review the direct entry requirements (PDF). A document of evidence is required to apply for a level 2 or 3 ARAA qualification and this is required at least twenty (20) days prior to the training. Please contact us for details. A direct entry fee is payable for all direct entry applications. All direct entry documentation must be forwarded directly to Pinnacle Safety and Training.